A recent article published in the American Journal of Roentgenology touched on the importance of taking a team wide approach to CT radiation dose reduction. 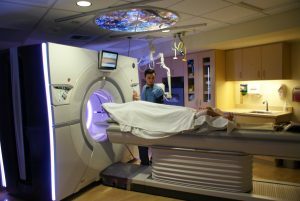 While CT only account for about 15 percent of diagnostic imaging exams, it is responsible for contributing up to 70 percent of radiation dosage to the population, according to this study. Hence, the reason why it’s imperative to have the whole team on board when it comes to reducing CT scan radiation exposure in patients. 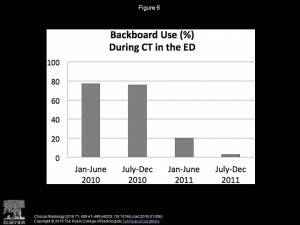 Ensuring that CT exams are appropriate is a critical component of overall dose reduction. At UW, we use a computerized Decision Support program, which acts at the point of Computerized Physician Order Entry (CPOE) to check appropriateness. Radiologists also double-check at the time of electronic protocoling. At the time of the scan, the use of external body shields – including breast shielding – is important. Additionally, patient centering in the gantry is critical and can lower dose by as much as 40% compared to off-center exams. The routine use of iterative reconstruction technique – compared to the older FBP – can further substantially lower dose. By having low- dose protocols and procedures set in place, we can be sure that we are providing our patients with the safest, most effective imaging procedures! 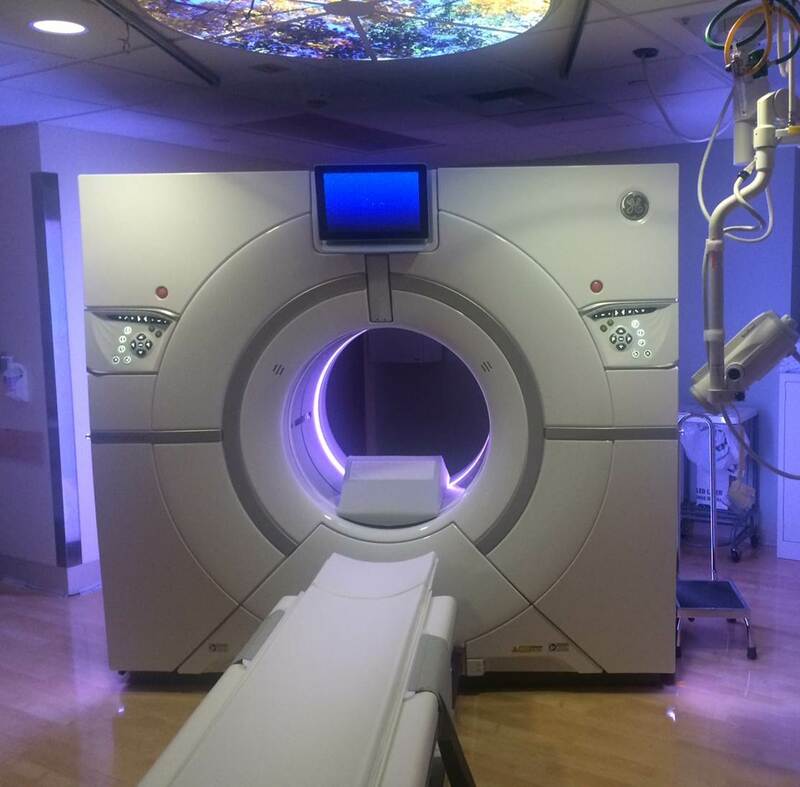 A New York Times op-ed about nuclear radiation exposure, called “Unsafe at Any Dose,” got me thinking about CT scan radiation exposure – and the ongoing debate regarding CT scan risks. Many activities and endeavors in human life have associated risk. Driving a car is risky; people die. And the more miles you drive, the greater the risk. But that does not mean we don’t use cars. Rather, we minimize risk by driving carefully, using seatbelts, etc. And we go ahead and drive in order to capture the benefits. So it is with medical radiation… and nuclear energy. But an important note: even with Dr. Caldicott’s pessimistic predictions and numbers, if you look at human deaths associated with kilowatt hours of electrical generation, coal powered electricity is the worst. Oil is next, and nuclear is at the vary bottom of the list (i.e., it has historically caused the fewest deaths). Check out this KING 5 news story where I discuss the recent discovery of trace radiation in milk being sold in Washington, due to the Japanese nuclear power plant leaks. As I mention in the interview, there’s no cause for concern, given the amount of radiation being detected. It’s a tiny fraction of the dose you’d be exposed to during a CT scan, for example. Watch (and read) the interview here. 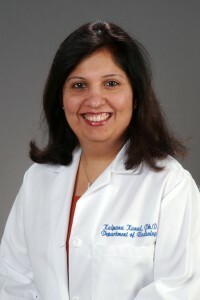 Aunt Minnie recently reported on a study that found that when emergency room personnel are knowledgeable about protocols for transferring and accepting DICOM CDs – which contain images of emergency CT scans of injured children – there is a decrease in the number of repeat (unnecessary) exams performed. However, the authors of the study said that problems arise when CDs aren’t transferred to the appropriate personnel, leading to unnecessary exams (and unnecessary radiation exposure) even when a CD exists, according to the article. Another approach – one which we follow – is to set up pre-existing VPN communication networks so studies can be directly downloaded (quickly), without the need for CDs. These often arrive before the transfer of the patient. They are set up with the sites that refer more than 5 patients per year. Here we have about 200 such connections to other healthcare facilities, which is great for all medical records as well as the images from radiology. The first, on November 4, is the Grand Rounds conference at Overlake Hospital. The conference will focus on radiation exposure and its potential risks with regard to patients receiving multiple imaging studies/multiple radiation doses. Should be interesting! 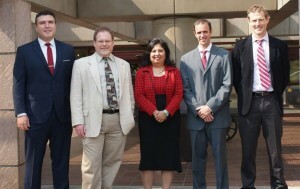 The second, on November 6, is the Washington State Radiological Society (WSRS) annual meeting. It’s at the World Trade Center in Seattle, and it’s scheduled for 4:00 p.m. Click here for more information about this meeting. If you’d like to attend, you can find the registration form available for download here. November’s off to a busy start! 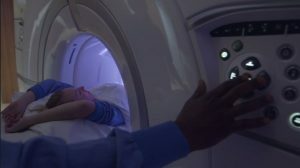 A new piece of legislation was announced recently that radiologists all over the country are talking about: California Governor Arnold Schwarzenegger has signed a medical radiation bill into law. It’s the first state law in the United States aimed at “protecting patients from excessive radiation exposure received during CT scans and radiation therapy procedures,” as reported by Aunt Minnie. Both the goals of this law are very commendable and worthwhile. Putting the dose of each exam into the medical record is done in Europe now and should begin in the U.S. This will require some commitment from radiation device manufacturers and from the DICOM standard, but is quite doable. And disclosing errors, of any type in any part of healthcare, is just part of good practice.